Maybe you’re a Francophile, or you want to impress that someone special. Maybe the boss is coming over for dinner. Maybe it’s just a dinner for one, but you want something that’s really a treat, but really easy to make. I have just the thing for you. 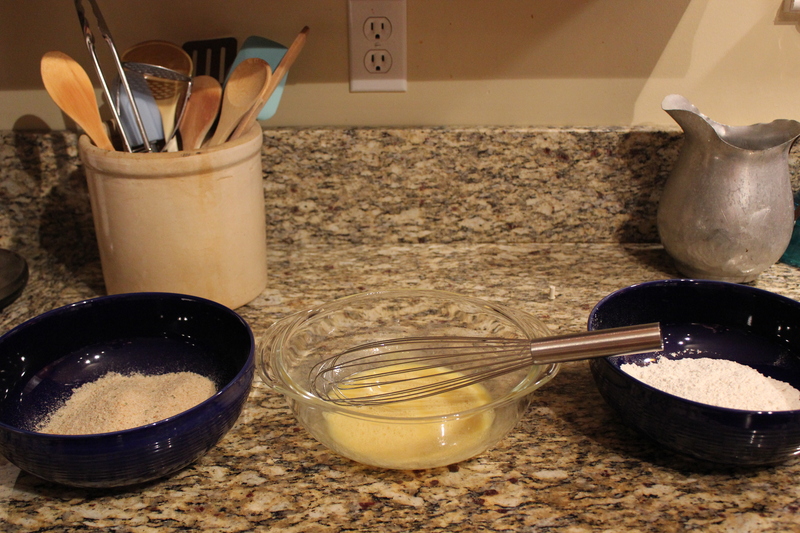 I freely admit to being a member of the Julia Child cult. Everything in Mastering the Art of French Cooking is perfection on a plate. 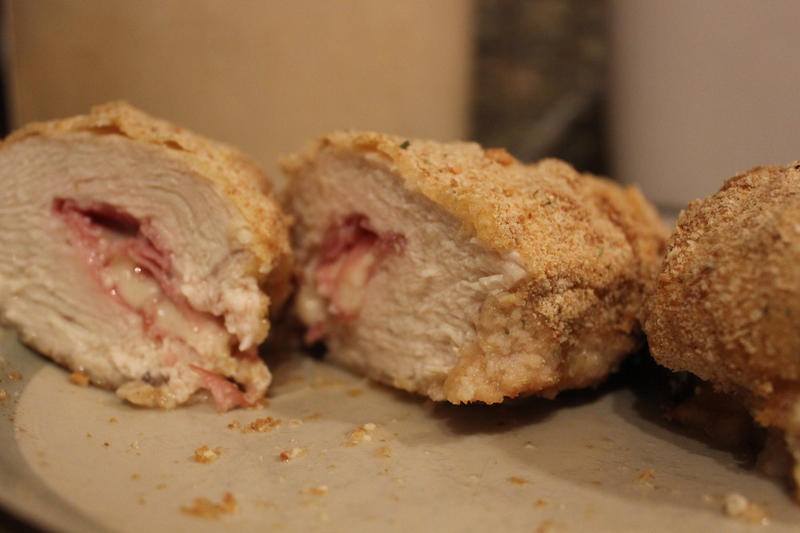 There is one little thing that’s missing though – chicken cordon bleu. It’s been a favorite of mine since I was a kid, but making it was such a pain, that the only time I ever had it was usually at a restaurant when we were on vacation and my parents had let their guard down and their wallet open. After several attempts at making it myself I think I’ve found a recipe that works. It’s actually a combination of two: one from the television show “Cook’s Country”, and the second from and extra on the DVD release of the film “Le Divorce” from a few years ago. Through trial and error, I’ve created a concoction that is easy, quick, and boy, oh boy, is it good. 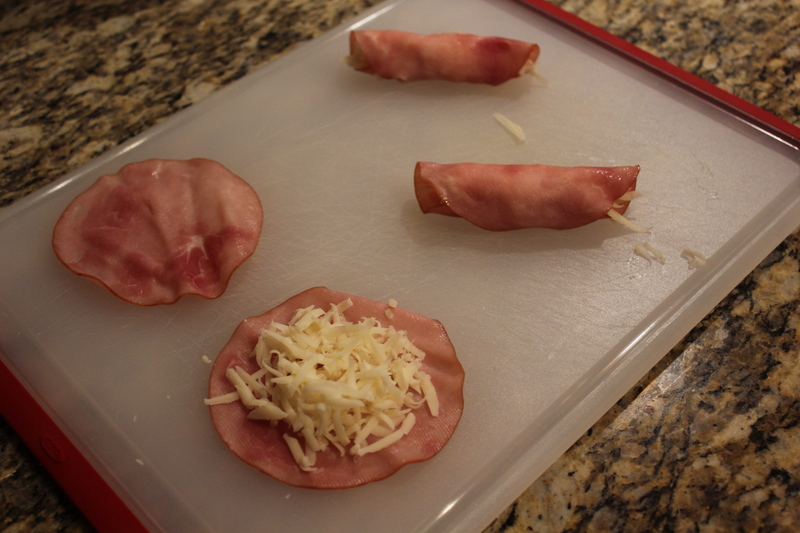 Lay a piece of the deli ham flat on the counter and sprinkle some of the Swiss cheese on top. Then roll the ham around the cheese. Plan for two ham/cheese rolls per chicken breast. Set the rolls aside. 2. Take each chicken breast and make a slit, then, using a sharp knife, cut open a cavity inside each breast. refrigerate all of the breasts for 20 minutes. breasts) and a tablespoon of mustard and mix. In the third, the bread crumbs. the breast. Place the chicken on a backing sheet. are golden brown, dinner is ready. It works! It’s delicious and there’s no banging away at the poor chicken trying to flatten it out and then wrap it around the ham and cheese. Give it a try and let me know what you think. Bon Appetite! ← May I (touch you wildly inappropriately in the name of airport security)? Love the idea of the slit in the chicken breast as opposed to having to wrap and toothpick the resulting roulade.